Race fans will be in for quite a treat when they flock to Las Vegas Motor Speedway to get their NASCAR fix in March. The speedway, in an effort to improve and diversify its fan experience, is making a number of enhancements to the speedway’s seating and viewing areas for 2018. The Earnhardt federal court case continues over the use of Earnhardt Collection brand name. This is a recurring story that began in 2016. It’s one of those stories that makes my blood boil. We’ve all come across photos of the race track built on the roof of the Lingotto building. But what was the real reason or purpose for the rooftop test track? Why was the track on the roof of the factory? Daytona International Speedway (DIS) and Florida Power & Light Company (FPL) today showcased construction progress related to FPL’s new Solar Pavilion. One of three new structures that make up the FPL Solar Circuit at the “World Center of Racing.” The commercial-scale distributed solar power installation at DIS complements the $400 million DAYTONA Rising redevelopment project. Kurt Busch house gets shown Cribs style via Monster Energy. Take a walk around the house and garage of NASCAR driver Kurt Busch below. Kurt Busch races 36+ races a year and only has two off weekends in a grueling NASCAR season with Stewart-Haas Racing. 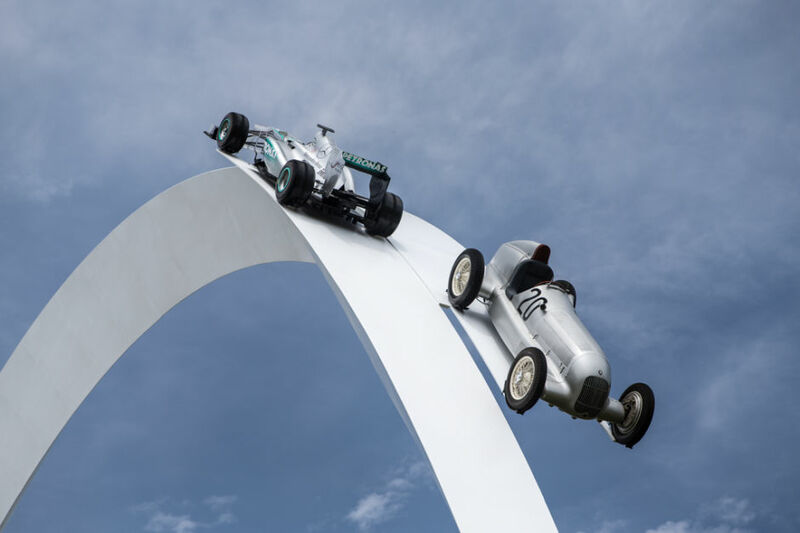 The Festival of Speed Mercedes Arch central feature was launched with typical ceremony. Spectacular fireworks and a parade of over 100 years worth of Mercedes (including a glowing SLS!) paraded on the track in the half light making it a night to remember. Brad Keselowski bridged two distinct facets of his life Wednesday by using, appropriately, a bridge. 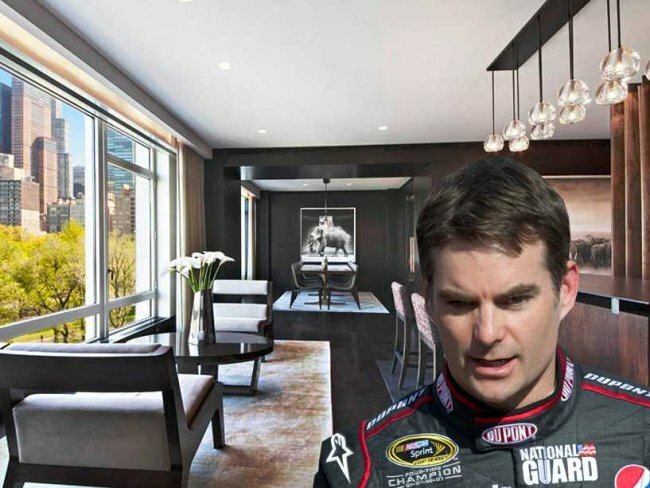 Jeff Gordon New York Apartment has gone up for sale at $30 Million. The NASCAR Sprint Cup Series driver has decided to sell his Central Park west condo. The Jeff Gordon New York Apartment is definitely not the pits. In fact, listed for sale at $30 million, one thing’s abundantly clear about this grandly located and luxuriously appointed apartment: owner Jeff Gordon has done more than fine during his years of NASCAR racing and hanging in its famous pits. 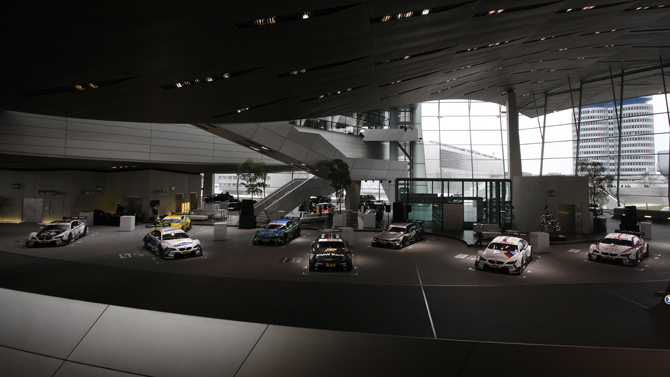 On Saturday the BMW Welt in Munich, located next to the company’s headquarters, was the stage for the spectacular launch of all eight BMW M3 DTM cars the reigning champions are going to contest the 2013 season with in the popular touring car series.